In this month's interview we talk with Stuart Gardner, we talk about NRCS and his private life outside of the USDA. Stuart has been in agriculture since at least 1980 and worked mostly with horses and cattle. Since around 1990 Stuart has been running a cow/calf and finishing operation utilizing rotational grazing and other sustainable best management practices. Development and implementation of a grassfed beef operation. Stuart shares a number of ideas for direct marketing and cattle raising but one idea you can implement today and start making money literally tomorrow. Stuarts role within the NRCS is Range Conservationist / Grazing Land Resource Management Specialist - Conservation plan development and implementation. NRCS level III Conservation Planner. National team member for development of training courses for NRCS employees and software for ranch planning and animal resource management. Ecological based planning and implementation of rotational and intensive grazing management systems. Addressing natural resource concerns related to soil, water, animal, plants, air, energy, and human interactions and management of these natural resources in productive working animal agriculture systems. Working as an area grazing specialist since 1997. Ranch and grazing animal management since 1981. Member St. Landry Parish Cattlemen's Association Board of Directors since 1990. Effective education of managers and owners of private grazing lands. Development and implementation of practical management systems that are effective and sustainable. Development of local food production to consumption systems. Specialties:Forage based beef cattle, horses, goats, grazing land animal nutrition, southern forage systems, grass-fed beef, stocker cattle, and evaluation, planning, design, monitoring, and implementation of grazing systems. Direct communications, planning, implementation, working with ranchers and landowners individually and in groups. Technical training of professional conservationist. 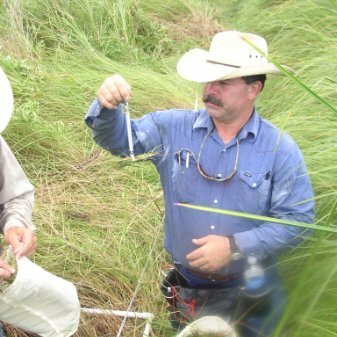 Adult education concerning grazing land resources and grazing systems. Project, conference, and workshop planning and implementation. Stuart is highly qualified to not only share his experiences and knowledge but to teach us a number of techniques that will all lead to higher revenues. If you are interested in direct marketing but maybe you don't want to do the marketing, you NEED to listen to this months training with Stuart Gardner today. If you want to know how to increase your direct sales production, you need to hear this interview!